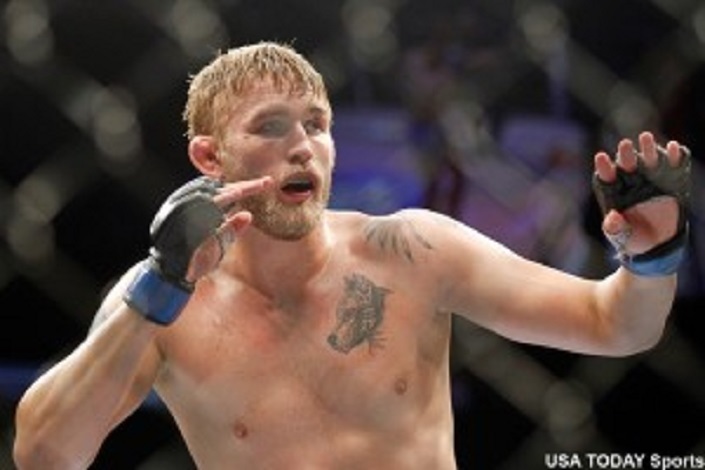 A back injury has forced Alexander Gustafsson (pictured) out of his UFC Fight Night 69 scrap against fellow former light heavyweight top contender Glover Teixeira. Have no fear, Germany, because Joanna Jedrzejczyk is here. On Friday, the UFC announced Jedrzejczyk will break in her freshly-minted strawweight title against Jessica Penne in the show’s new featured attraction. Jedrzejczyk is coming of March’s dominant knockout victory over Carla Esparza to capture the crown. She is unbeaten in nine professional outings and looks to be the first person to successfully defend the UFC 115-pound title. Penne, a former Invicta FC champ, will be riding a two-fight winning streak into the tango. She was last seen in December taking a split decision over Randa Markos at the TUF 20 Finale. No word on how long Gustafsson will be forced to ride the pine or what the UFC intends to do with Teixeira. The June 20 event takes place inside at O2 World Berlin. It is unknown whether UFC Fight Pass, Fox Sports 1, Fox Sports 2 or some combination of the three will make the event available for live viewing in America.